At Legado, we believe that the source of all progressive, systemic, and lasting change, are people who are making a personal choice to take conscious actions towards the future they wish to be a part of, as individuals and as a collective. This conscious future is what we refer to as legacy, or if you’re speaking Portuguese, legado. In an effort to support our stakeholders in articulating, believing and acting upon their personal and collective legacies, we employ Lightyear Leadership, a self-leadership methodology that helps people cultivate the best in themselves, while transforming their communities. Lightyear was developed by Susanne Conrad and is an organization working to empower individuals, companies, and communities to radically transform themselves, and the world, through online courses and workshops, and live program gatherings. Lightyear has been implemented with great success by groups and organizations around the world, including the international not-for-profit organization imagine1day, which works in partnership with the government of Ethiopia to transform a traditional model of aid and drive community-led advancements in education for children and adults throughout the country. Time and time again this model has demonstrated that individuals actively engaged in creating their own vision and goals are more likely to apply these tools to the benefit of the groups and organizations that they belong to, thereby creating healthy conditions for collective ownership. Practically, this occurs through people participating in programs together, sharing openly and experiencing the connectivity of their individual legacies. The work breaks through authority issues, and gives people access to personal responsibility and forgiveness. A core principle of Lightyear is committing to the highest good in oneself, while supporting the highest good in others. The tools teach people how to work together by considering a wide range of views and ideas and aligning from the future, in order to fulfill on a desired collective outcome. Lightyear places people at the heart of a leadership-rich culture and offers a unifying language, set of values and platform from which to operate,collaborate, and speak a language of possibility. Our goal is to extend Lightyear Leadership training to all of our stakeholders, including our field and management teams, the Namuli community members, and the local government, understanding that the success of our strategic initiatives hinges on the well being and leadership capacity of each individual who will be championing the project objectives alongside their own. 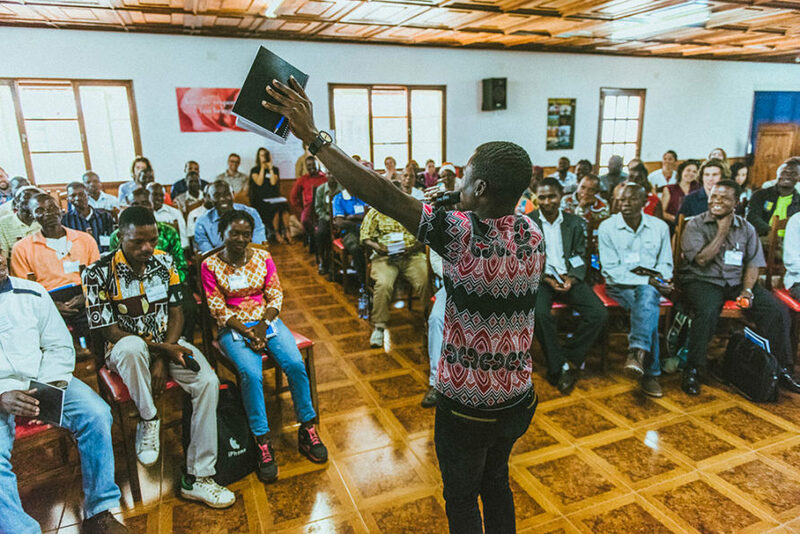 Our 2018 Namuli Lightyear Leadership Symposium was our third Lightyear Training in Mozambique since 2015. Stay tuned for more images and news about this great partnership.